Cold Or Allergies! Where Do They They Come From? Is It A Cold Or Allergies? Whether you know what symptoms you have or not I have found some interesting things you should know! One of course being determining which cold or allergy ails you and how to alleviate each. Since the arrival of spring means warmer weather, growing plants and vegetation, floating pollen in the air and most unfortunately, seasonal allergies for millions of Americans alone. We also have fluctuating temperatures during the transition from winter to spring and for manythat translates into catching of colds and allergies. And with the funnest time of the year just around the corner who needs that? Typically, since colds and allergies share the same kind of symptoms and treatments, it’s hard to spot the difference most of the time; unless you know what true symptoms to look for. Different from allergies, the common cold is caused by a virus, while allergy symptoms are a result of immune system responses to allergens like pollen, dust, pet dander and even floating mold spores. 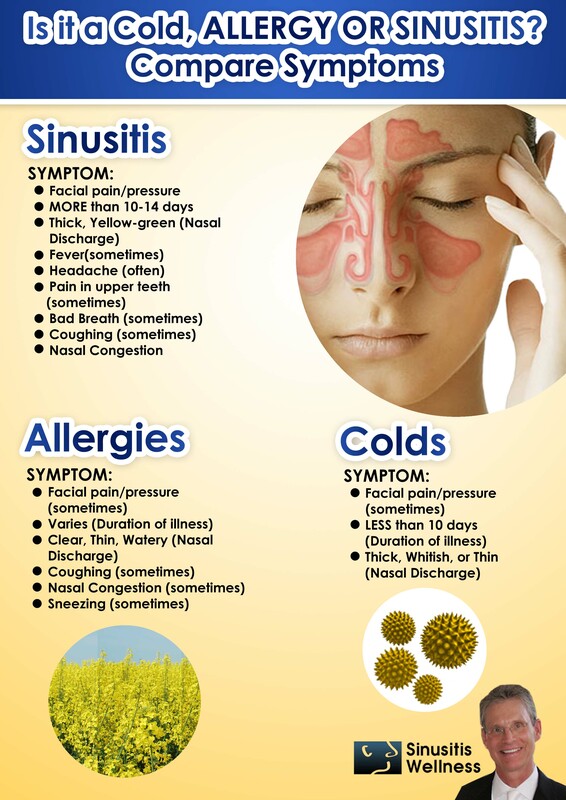 What are the signs allergies may not be your problem? That’s when you may actually have a cold virus. Learn what each of the symptoms are so you can treat each one correctly and feel better much sooner. However, it’s difficult to tell the difference between the two when symptoms first strike. A survey conducted by Doctor On Demand found that most Americans have no idea when it comes to differentiating between allergy and common cold symptoms. Did you know that more than half of Americans polled thought allergy symptoms, such as watery, itchy eyes, and itchy ears and throat were also cold symptoms? Did you know cold and seasonal allergy symptoms that do overlap include a runny nose, stuffy nose, sneezing, fatigue, and coughing? The best way to make a distinction between the two is the duration of the different symptoms and how fast your situation deteriorates. (See your Doctor If Symptoms get worse) A common cold typically should last no longer than ten days, while allergies can pester people for many weeks or months to come. Moreover, seasonal allergies tend to boom at the same time every year, while colds are more prominent between winter and fall or chilly, cold and wet periods. If you wish to tackle both, decongestant and nasal sprays alleviate both cold and allergy symptoms. These sprays can help those with colds breathe easier while also treating a swollen and congested nasal passage without causing symptoms such as insomnia or drowsiness. Although nasal sprays are considered to be the most effective way to treat outdoor allergies, Doctor On Demand found only one in four Americans surveyed knew this; antihistamines like Claritin and Benadryl are not the best choices for environmental allergies. A cold and allergy symptom may overlap and they should be treated accordingly based on your diagnosis. If you are feeling miserable after a week, don’t hesitate, see your doctor. P.S. If you don’t have your own whole house air purifier then I invite you to sign up for instant access to a FREE monthly drawing for the air purifying industry King Of Purifiers. Take a chance, click that link just above or the banner below and you will be sent to my sign up form for access to my Special page with the hidden drop down box. Wait for it… it will drop down soon. 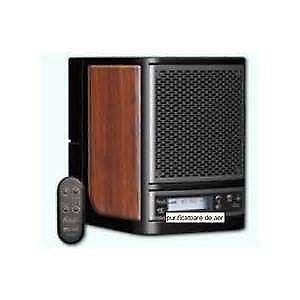 Enter your name and email again in this form for a chance to win an Alpine ‘Living Air’ LA 3500 purifier. Good luck and happier breathing whether you have cold or allergies or just want to change your indoor air to a clean, crisp, purified, mountain fresh home.